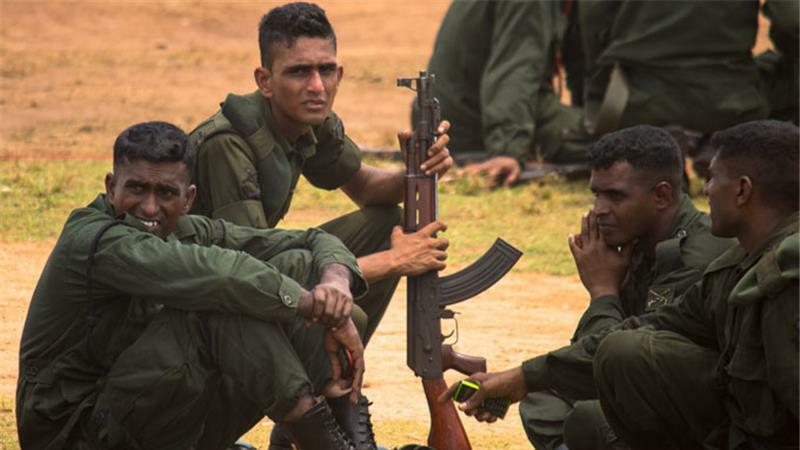 The armed conflict in Sri Lanka lasted for nearly 30 years. The soldiers who participated in this war underwent extreme forms of battle stresses. Some of the combatants who were exposed to distressing battle events had dissociative reactions. According to Chu (1998) dissociation refers to “a disruption of the normal integration of experience. As described by Van der Hart, Van der Kolk, & Boon (1998) Dissociation is a way of organizing information and it is a compartmentalization of experience: elements of an experience are not integrated into a unitary whole but are stored in isolated fragments. The DSM-IV refers to dissociation as “a disruption in the usually integrated functions of consciousness, memory, identity, or perception of the environment (APA, 1994). The American Psychiatric Association's Diagnostic and Statistical Manual of Mental Disorders, Fifth Edition, (DSM-5) contains dissociative amnesia (DA), dissociative identity disorder (DID), dissociative fugue, depersonalization/derealization disorder, and dissociative disorder not otherwise specified (DDNOS) (APA, 2013). Dissociation can be interpreted as a protective or defensive reaction in extreme stress. Among the dissociative disorders, psychogenic seizures, psychogenic tremors, aphonia and fugue states were found among combatants. Some of these reactions were evident soon after a traumatic battle event and some manifested as delayed reactions. The dissociative disorders, including "psychogenic" or "functional" amnesia, fugue, dissociative identity disorder (DID, also known as multiple personality disorder), and depersonalization disorder, were once classified, along with conversion disorder, as forms of hysteria ( Kihlstrom, 2005). Dissociative symptoms are an important element of the long-term psychopathological response to trauma (Bremner et al., 1992). Historically, the dissociative disorders were also considered among the most rare forms of psychopathology ( Kihlstrom, 2005). According to Pierre Janet, dissociative disorders are characterized by the dissociation from ordinary consciousness and memory of `systems of ideas and functions that constitute personality. Such systems escape personal awareness and control (van der Hart & Nijenhuis 2001). Many traumatized individuals alternate between re-experiencing their trauma and being detached from, or even relatively unaware of the trauma and its effects (Nijenhuis & Van der Hart, 1999 ; Nijenhuis, Van der Hart, & Steele, 2004).). Combat related stress can generate numerous traumatic experiences and this overwhelming stress can lead to unresolved mental conflicts and dissociation. These reactions disrupt the soldier’s normal integration of consciousness, memory, identity, emotion, perception, body representation, motor control, and behavior. Somatoform dissociation is a unique construct that discriminates among diagnostic categories. It is highly characteristic of dissociative disorder patients (Nijenhuis et al., 1999). Along with psychoform dissociation, somatoform dissociation has been put forth as a core aspect of dissociative states, possibly as reliable as psychoform dissociation in the screening for dissociative disorders (Simeon et al., 2008). According to Pierre Janet and several World War I psychiatrists, dissociation also pertains to a lack of integration of somatoform components of experience, reactions, and functions (Nijenhuis, 2000). Somatoform dissociation is supposed to be a vital aspect of the general concept of dissociation (Nilsson et al., 2015). Somatoform dissociation is a lack of the normal integration of sensorimotor components of experience, e.g., hearing, seeing, feeling, speaking, moving, etc. It is a major consequence of psychological trauma that is especially prevalent when threat to life from another person has occurred (van der Hart et al., ‎2000). Waller et al (2000) stated that Somatoform dissociation can be understood as a set of adaptive psychophysiologic responses to trauma where there is a threat of inescapable physical injury. Those responses are related to a range of psychiatric disorders, and are likely to interfere with treatment of those disorders. Somatoform dissociation was found among a number of Sri Lankan combatants who fought in the Eelam War. Captain SXXT7 served in the operational areas for over 7 years and witnessed the gruesome realties of the war. Once his best friend – another fellow officer died in front of his eyes due to enemy fire. His initial response was shock and fear. After these traumatic battle events, Captain SXXT7 experienced anesthesia and numbness in his right arm. He was referred to a Neurophysiologist who found no organic pathology. However he continued to experience anesthesia and numbness in his right arm for over one year. Dissociative amnesia following combat trauma in various wars has been extensively documented (Witzum et al., 2002). Dissociative amnesia is a disorder characterized by retrospectively reported memory gaps. These gaps involve an inability to recall personal information, usually of a traumatic or stressful nature (Leong, 2006) and it is characterised by functional impairment (Staniloiu & Markowitsch, 2014). Psychological stress and trauma were etiologically linked to its development across various cultures ( Markowitsch & , Staniloiu 2013). Dissociative amnesia is classified by the Diagnostic and Statistical Manual of Mental Disorders, 4th Edition, as one of the dissociative disorders, which are mental disorders in which the normally well-integrated functions of memory, identity, perception, or consciousness are separated (dissociated). Patients with dissociative amnesia usually report a gap or series of gaps in their recollection of their life history. The gaps are usually related to episodes of abuse or severe trauma. In dissociative amnesia, the continuity of the soldier’s memory is disrupted. They have recurrent episodes in which they forget important personal information or events, usually connected with trauma or severe stress. Private DLX68 witnessed the death of four soldiers following an incoming mortar. Although Private D was physically unharmed he was frightened and felt powerless. He went in to heightened stress reaction and later evacuated by a medical evacuation squadron. Even after several years Private D could not remember how he was evacuated from his bunker and he had memory gaps about the incident which occurred in the battle field. Dissociative fugue is a rarely reported diagnostic entity (Mamarde et al., 2013). It is a psychiatric disorder characterized by amnesia coupled with sudden unexpected travel away from the individual’s usual surroundings and denial of all memory of his or her whereabouts during the period of wandering (Igwe, 2013). Corporal AXCN89 has served 17 years in the operational areas. On one occasion he went in to dissociative fugue and walked in to the enemy linens. He was not intoxicated. When he was found by a friendly group of soldiers, Corporal AXCN89 had thrown his weapon and was wondering about in hostile territory. He did not have any idea of what he was doing near the enemy lines. Later this soldier was diagnosed with dissociative disorder. Psychogenic non-epileptic seizures represent a complex interaction between neurologic and psychological factors (Pritchard & Hopp, 2014). They are somatic manifestations of psychologic distress (Kumar, 2004; Alsaadi & Marquez, 2005). Psychogenic non-epileptic seizures resemble epileptic seizures; have no electrophysiological correlate or clinical evidence for epilepsy, whereas there is positive evidence for psychogenic factors that may have caused the seizure (Bodde et al., 2009). Psychogenic non epileptic seizures are diagnostic and therapeutic challenge (Auxéméry et al., 2011). Psychogenic attacks differ from epileptic seizures. They are usually differentiated from epileptic seizures on the basis of absence of tongue biting, falling, incontinence, post ictal phenomena and concomitant abnormalities on the electroencephalogram (de Timary et al., 2002). Psychogenic seizures are caused by subconscious mental activity, not abnormal electrical activity in the brain. (Devinsky, 2007).Psychogenic seizures can arise from various psychological factors, may be prompted by stress, and may occur in response to suggestion. It has also been found that such disorders may be self-induced. They may be used to get attention, to be excused from work or merely to escape an intolerable combat situation. Corporal CXVB43 was exposed to traumatic combat situations. A number of times he witnessed killings and faced enemy artillery attacks. Several times his platoon was surrounded by the enemy and every occasion he felt desolated. Corporal C was lucky enough to survive without any physical injuries. In 2004 he manifested convulsions and investigated at the National hospital Colombo. His post ictal EEG report and brain scan did not confirm any pathological condition. The eye witnessed account revealed that Corporal C is experiencing psychogenic epilepsy. He was diagnosed with Dissociative Disorder by the Consultant Psychiatrist of the Sri Lanka Army. Psychogenic dysphonia refers to loss of voice where there is insufficient structural or neurological pathology to account for the nature and severity of the dysphonia, and where loss of volitional control over phonation seems to be related to psychological processes such as anxiety, depression, conversion reaction, or personality disorder (Baker, 2003). Psychogenic dysphonia has variable clinical manifestations (Martins et al, 2014). It is important to consider the psycho-emotional aspects involving patients with voice disorders since they may cause or modify the symptoms and affect the prognosis (Guimaraes et al., 2010). Therapeutic interventions in voice disorders recommend the adoption of a multidisciplinary approach to treatment (Sudhir et al., 2009). Bombardier TLX64 experienced horrendous combat events during 1997-1998. On one occasion he and his team went on an ambush. Unexpectedly, the enemy attacked them and Bombardier T witnessed the deaths of his friends. The enemy shot them and chopped their heads with machetes. He was hiding in the woods and observed the terrible events. He was the only member who survived that day. In 1993 he complained numbness of the right hand and difficulty in speech. Bombardier T was seen by the Consultant ENT (Otorhinolaryngology) surgeon and found no ENT pathology. He regained his voice after hypnotherapy. Psychogenic tremor is the most common psychogenic movement disorder and it should be considered in the differential diagnosis of patients presenting with tremor, particularly if it is of abrupt onset, intermittent, variable and not congruous with organic tremor. The pathophysiology of Psychogenic tremor is poorly understood ( Thenganatt & Jankovic, 2014). Tremor is defined as a rhythmic, involuntary, oscillating movement of a body part occurring in isolation. Psychogenic tremor may involve any part of the body, but it most commonly affects the extremities. Usually, tremor onset is sudden and begins with an unusual combination of postural, action, and resting tremors (Fernandez, Machado & Pandya, 2014). Psychogenic tremor decreases with distraction and is associated with multiple other psychosomatic complaints (Ahmed, 2014). Diagnosis is based on history, clinical signs and investigations (Bhatia & Schneider, 2007). Several tests can be useful in diagnosis, such as: accelerometry, EMG and response to placebo or suggestion (Redondo et al., 2010). Treatment requires a strong alliance between the medical team and patient (Redondo-Vergé, & Carrion-Mellado, 2012). Lance Corporal SXC54 was investigated for tremors and weakness of the right hand which had no apparent organic basis. After neuro-physiological investigations it was revealed that Lance Corporal SXC54 was suffering from psychogenic tremors. Combat stress may have had a link with his psychogenic tremors. As a soldier he had undergone a numerous combat related stress events. In 1991 he and his unit were trapped inside the Elephant Pass camp for nearly one month. The enemy attacked them with mortars. He was highly distressed and uncertain about the rescue. Finally they were freed by some friendly forces. Although he was able to leave the camp physically unharmed his mind was filled with battle events. After several months he experienced tremors in the right hand and he could not use his firearm. This phenomenon could be explained as unconscious avoidance of the battle field. Combat stress has a residual effect on some veterans. The delayed retrieval of traumatic events have been written about for nearly 100 years in clinical literature of military veterans who survived combat. Delayed onset dissociative reactions have been found among some Sri Lankan combatants. The diagnosis of combat related Dissociative Disorders is more difficult in cases of delayed reaction to trauma. Some of the dissociative reactions can manifest 5-10 years after the original trauma or may be after a long period. In the beginning of this century Janet already noted that: "certain happenings ... leave indelible and distressing memories-- memories to which the sufferer continually returns, and by which he is tormented by day and by night" (van der Kolk, 1994). According to Dr. Michael Robertson of the Mayo Wesley Clink, aging veterans of World War 2 have manifested combat stress reactions after 50 years Therefore treatment of combat stress cannot be limited to a specific time period. 2) Dr Monday N. Igwe Honorary Consultant Psychiatrist Federal Teaching Hospital Abakaliki, Ebonyi State Nigeria & Lecturer, Department of Psychological Medicine Ebonyi State University Abakaliki, Nigeria. Alsaadi, T.M. , Marquez, A.V. (2005).Psychogenic nonepileptic seizures.Am Fam Physician. 1;72(5):849-56. American Psychiatric Association. Diagnostic and Statistical Manual of Mental Disorders. Fifth Edition. Washington, DC: APA Press; 2013. 519-33. American Psychiatric Association (1994). Diagnostic and Statistical Manual of Men-tal Disorders (4th ed.). Washington, DC. Auxéméry, Y, Hubsch, C., Fidelle, G.(2011). [Psychogenic non epileptic seizures: a review].Encephale. ;37(2):153-8. Baker ,J. (2003).Psychogenic voice disorders and traumatic stress experience: a discussion paper with two case reports.J Voice. ;17(3):308-18. Bhatia, K.P. , Schneider, S.A..(2007).Psychogenic tremor and related disorders.J Neurol. ;254(5):569-74. Bodde, N.M. , Brooks, J.L., Baker, G.A., Boon, P.A., Hendriksen, J.G., Mulder, O.G., Aldenkamp, A.P. (2009).Psychogenic non-epileptic seizures--definition, etiology, treatment and prognostic issues: a critical review.Seizure. ;18(8):543-53. Bremner, J.D. , Southwick, S, Brett, E., Fontana, A., Rosenheck, R., Charney D.S. (1992).Dissociation and posttraumatic stress disorder in Vietnam combat veterans.Am J Psychiatry. ;149(3):328-32. Chu, J. (1998). Rebuilding shattered lives: the responsible treatment of complex posttraumatic stress and dissociative disorders. New York: Guilford Press. de Timary, P., Fouchet, P., Sylin, M., Indriets, J.P., de Barsy, T., Lefebvre, A, et al. Non-epileptic seizures: delayed diagnosis in patients presenting with electroencephalographic (EEG) or clinical signs of epileptic seizures. Seizure 2002; 11:193-197. Devinsky,O. (2007 ).Epilepsy: A Patient and Family Guide: Third Edition. Demos Medical Publishing. Fernandez, H., Machado, A., Pandya, M.( 2014).A Practical Approach to Movement Disorders, 2nd Edition: Diagnosis and Management . Demos Medical; 2 edition. Guimaraes, V.C., Siqueira, P.H., Castro, V.L.S., Barbosa, M.A., Porto, C.C. (2010).Aphonia with Unknown Etiology: A Case Report. Int. Arch. Otorhinolaryngol.;14(2):247-250. Igwe ,M.N. (2013).Dissociative fugue symptoms in a 28-year-old male Nigerian medical student: a case report.J Med Case Rep. 31;7:143. Kihlstrom, J.F. (2005).Dissociative disorders. Annu Rev Clin Psychol. ;1:227-53. Leong, S. , Waits, W., Diebold, C.(2006).Dissociative Amnesia and DSM-IV-TR Cluster C Personality Traits. Psychiatry (Edgmont). ;3(1):51-5. Markowitsch, H.J. , Staniloiu, A. (2013).The impairment of recollection in functional amnesic states.Cortex. 2013 Jun;49(6):1494-510. Mamarde, A. Navkhare, P. Singam, A. , Kanoje, A. (2013).Recurrent dissociative fugue.Indian J Psychol Med. 2013 Oct;35(4):400-1. Martins, R.H., Tavares, E.L., Ranalli, P.F., Branco, A., Pessin, A.B. (2014).Psychogenic dysphonia: diversity of clinical and vocal manifestations in a case series.Braz J Otorhinolaryngol. 2014 Nov-Dec;80(6):497-502. Nakatani, Y.(2000). [Dissociative disorders: from Janet to DSM-IV].Seishin Shinkeigaku Zasshi. ;102(1):1-12. Nijenhuis ,E.R., van Dyck, R., Spinhoven, P., van der Hart, O., Chatrou, M., Vanderlinden, J, Moene, F. (1999).Somatoform dissociation discriminates among diagnostic categories over and above general psychopathology. Aust N Z J Psychiatry. ;33(4):511-20. Nijenhuis ,E.R.S. (2000) Somatoform dissociation: Major symptoms of dissociative disorders. pdf. Journal of Trauma and Dissociation, 1(4), 7-32. Nijenhuis, E.R.S. ; Van der Hart, O. & Steele, K. (2004). Trauma-related structural dissociation of the personality. Trauma Information Pages website, January 2004. Nilsson, D ., Lejonclou, A., Svedin, C.G., Jonsson, M., Holmqvist, R.(2015).Somatoform dissociation among Swedish adolescents and young adults: the psychometric properties of the Swedish versions of the SDQ-20 and SDQ-5.Nord J Psychiatry. 2 ;69(2):152-60. Redondo, L, Morgado Y, Durán E.(2010). [Psychogenic tremor: a positive diagnosis].Neurologia. ;25(1):51-7. Redondo-Vergé,L.,Carrion-Mellado,N. (2012).Psychogenic Tremor.Mechanisms and Emerging Therapies in Tremor Disorders Part of the series Contemporary Clinical Neuroscience pp 289-304. Simeon, D., Smith, .RJ., Knutelska, M., Smith, L.M. (2008).Somatoform dissociation in depersonalization disorder.J Trauma Dissociation. ;9(3):335-48. Staniloiu A , Markowitsch HJ. (2014).Dissociative amnesia.Lancet Psychiatry. 1(3):226-41. Sudhir, P.M., Chandra, P.S., Shivashankar, N., Yamini, B.K..(2009).Comprehensive management of psychogenic dysphonia: a case illustration.J Commun Disord. 42(5):305-12. Thenganatt, M.A ., Jankovic, J. (2014).Psychogenic tremor: a video guide to its distinguishing features.Tremor Other Hyperkinet Mov (N Y). 27;4:253. Waller, G., Hamilton, K., Elliot, P., Lewendon, J., Stopa, L., Waters, A., Kennedy, F., Lee, G, Pearson, D, Kennerley, H, Hargreaves, I, Bashford, V, Chalkley,(2000). J. Somatoform dissociation, psychological dissociation, and specific forms of trauma. J Trauma Dissociation.;1(4):81-98. Witzum, E., Margalit, H., & Van der Hart, O. (2002). Combat-induced dissociative amnesia: Review and case example of generalized dissociative amnesia. Journal of Trauma & Dissociation 3(2):35–55. Van der Hart, O., van der Kolk, B.A., & Boon, S. (1998). Treatment of dissociative disorders. In J.D. Bremmen & C.R. Marmar (Eds. ), Trauma, memory, and dissociation (pp. 253-283). New York: Guilford Press. van der Hart , O. Dijke, A. van, Son, M. van & Steele, K. (2000). Somatoform dissociation in traumatized World War I combat soldiers: a neglected clinical heritage. Journal of Trauma and Dissociation, 1, 4, 33–66. van der Hart O , Nijenhuis E.(2001).Generalized dissociative amnesia: episodic, semantic and procedural memories lost and found. Aust N Z J Psychiatry. ;35(5):589-600.
van der Kolk BA. (1994).The body keeps the score: memory and the evolving psychobiology of posttraumatic stress. Harv Rev Psychiatry. ;1(5):253-65.
" පෝන් එක දෙන්නේ කොහොමද ළමයෙකුට "
සදාකලිකව ජීවත් වීමට අවශ්‍ය කාටද ? පියල් කොළඹ යාම නිසා නන්දාට හටගත් රෝගය කුමක් ද ? කෑගල්ලේ ජයතිලකට සිදු වූයේ කුමක්ද​?